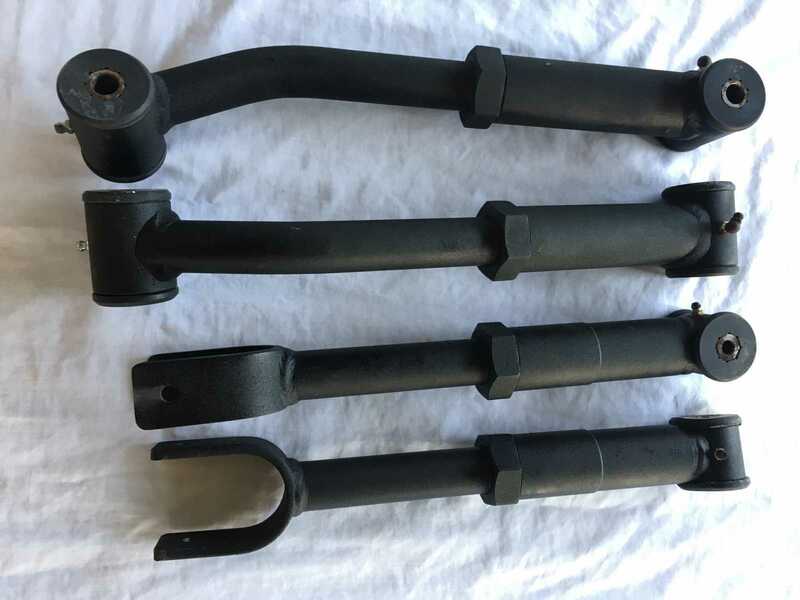 Brand new upper and lower control arms made in USA by Ironman 4X4 Fabrication. 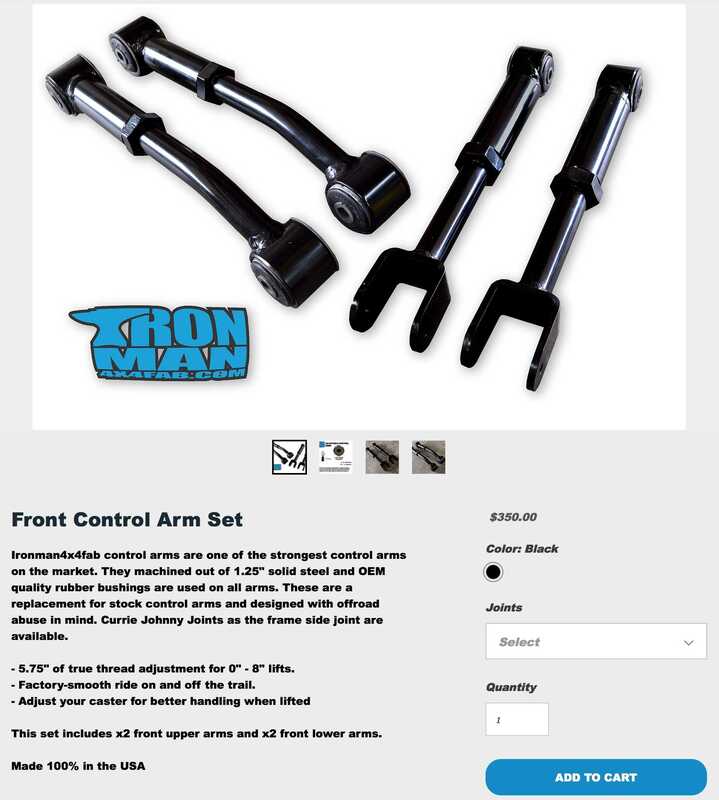 These are the toughest control arms I have ever seen. Unfortunately they never made it onto my XJ. 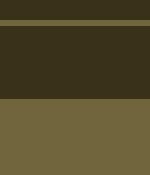 Last edited by AD007E; 14-10-2018 at 08:16 PM.